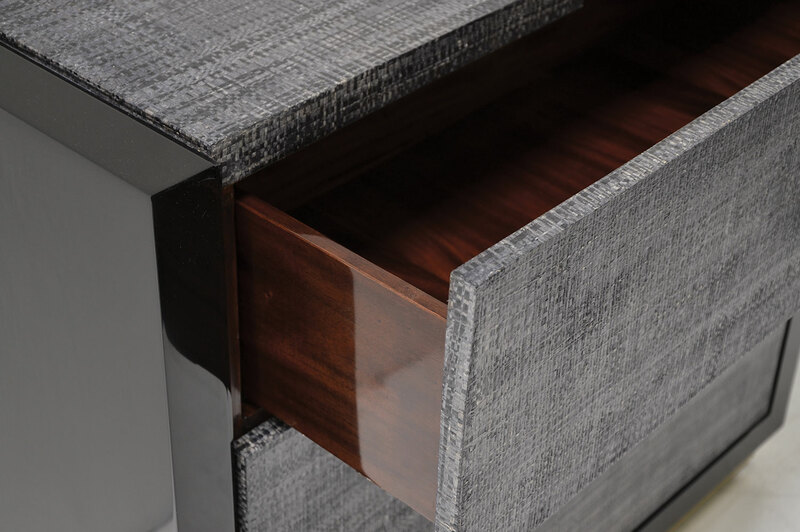 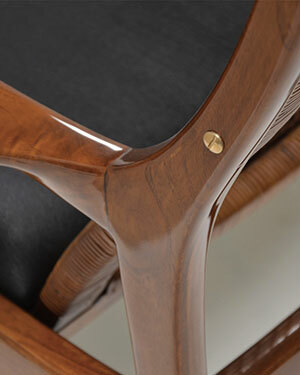 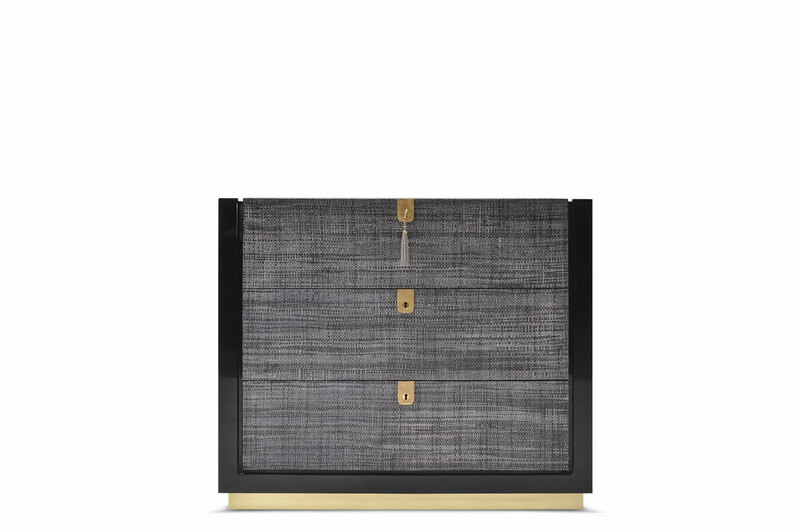 This encasement of this chest is beautifully finished in a hand polished lacquer. 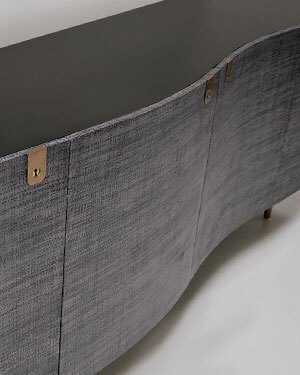 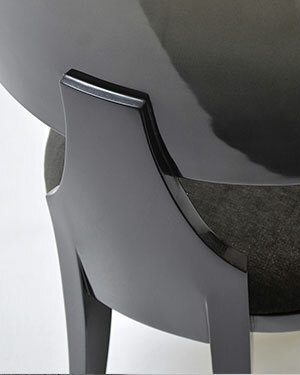 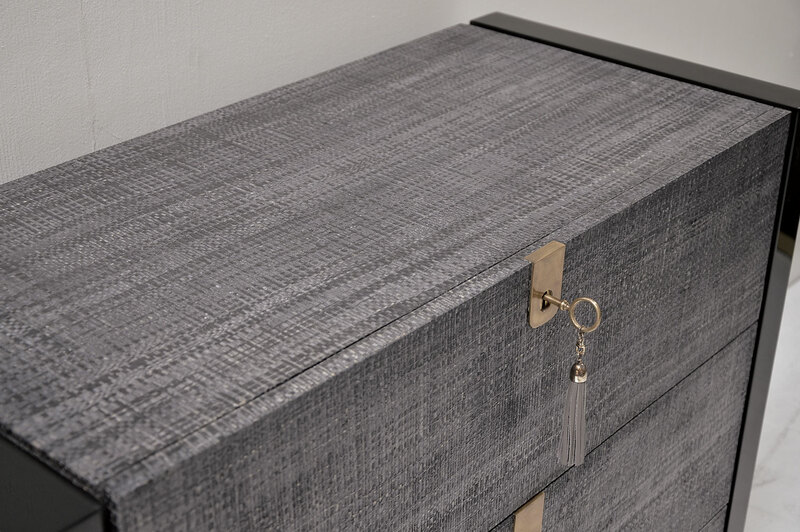 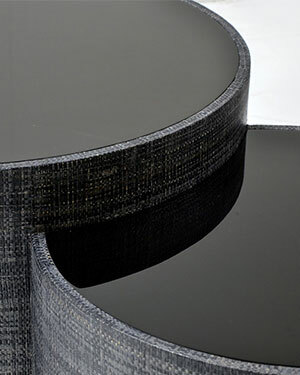 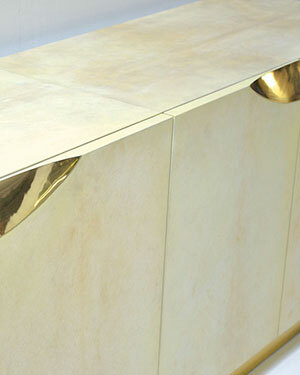 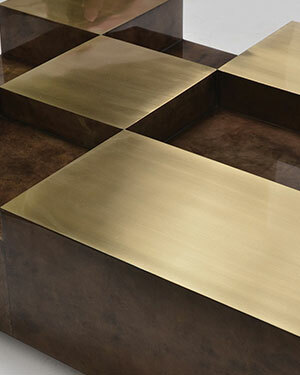 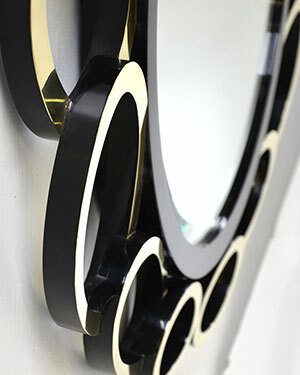 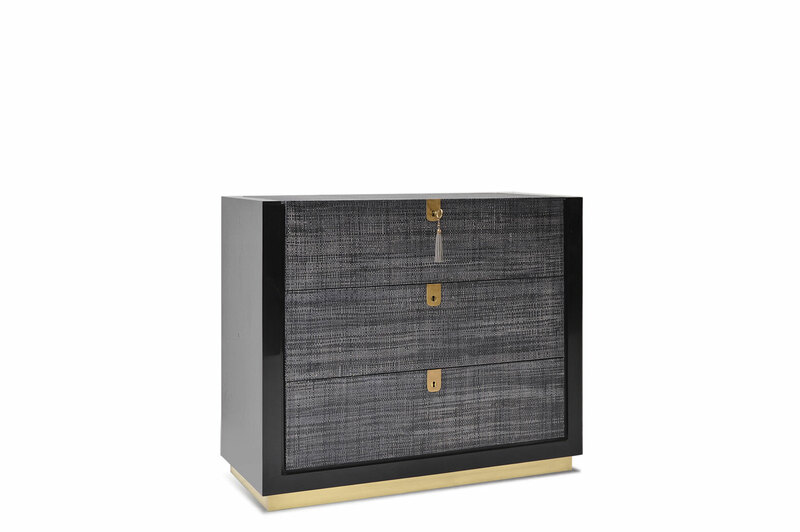 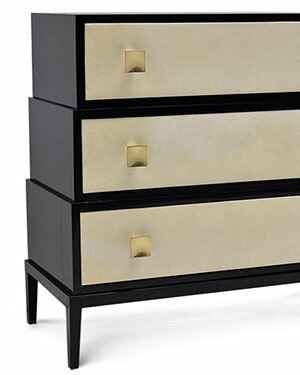 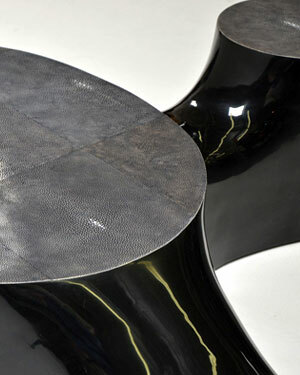 The top and the drawer fronts are mantled in a charcoal color raffia fabric and the base is accented with a brass plinth. 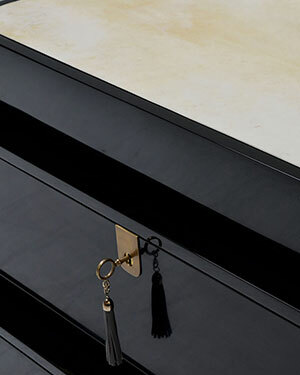 The 3 drawers are made from solid mahogany and glazed with a soft-gloss finish accompanied by a solid brass key and signature tassel.